In this guide we will explain everything you need to know about Scout Rifles, from the various archetypes, to their scopes, and what some of the best perks are. We’ll also go over the new legendary Scout Rifle so that you can decide which to pick up first. Be sure to also check out our pre-HoW top 5 Scout Rifle listing & other Legendary reviews. There are four different types of Scout Rifles if you classify them by their Rate of Fire. Scout Rifles like Gheleon’s Demise belong to the slow firing archetype and can shoot 150 rounds per minute. They deal about 73 to the head and 49 to the body in the Crucible, which means that they can kill players in either 3 critical hits or 5 body shots. Fang of Ir Yût & Vision of Confluence, with a middling RoF, are the most common. They can fire 180 rounds per minute, deal 61 critical damage and 41 body damage in the Crucible, killing Guardians in 4-5 shots. One/One Synesthete and High Road Soldier belong to the mid-high RoF class. They fire 200 rounds per minute and deal 55 headshot and 37 to the body in PvP, which means that they can kill other players in 4-6 shots. Wolves’ Leash, NL Shadow 701X, Deadshot Luna SR1 & a few others have the highest RoF. This archetype fires 257 rounds per minute and deals 43 damage to the head and 29 to the body. Since they’ve got the lowest Impact, these will end lives with 5-7 shots. Choosing a RoF/Impact class is mostly up to personal preference, as each can be equally successful. If you have good accuracy, we’d recommend using a Scout with a low rate of fire because its damage potential is higher. Time to kill with headshots is the fastest of all archetypes with only 0.8 seconds in PvP. If you can’t land critical shots consistently, try the opposite spectrum. They have the fastest time to kill in bodyshots with 1.33 seconds and are generally a bit more forgiving. They will kill other players in PvP in four shots even if half of your shots hit the body of your target. 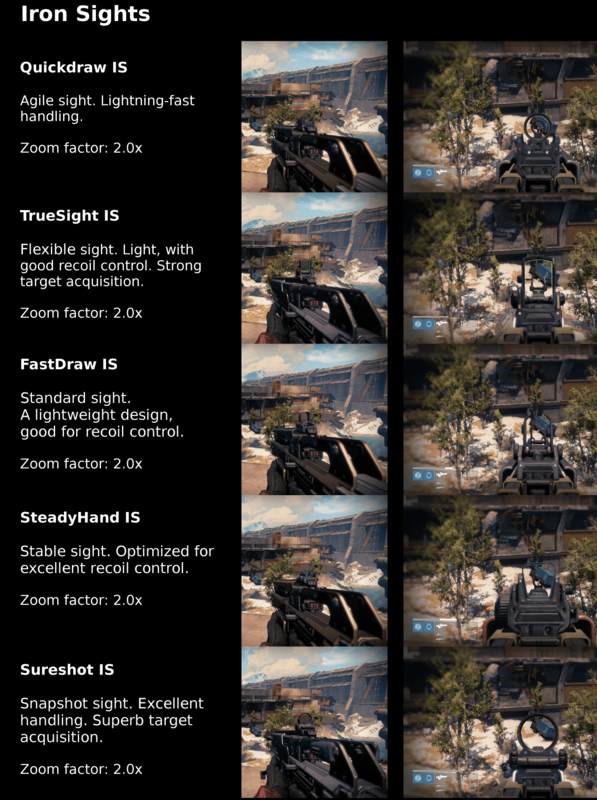 There is a total of 14 different scopes, but only 11 are available on Legendary Scout Rifles. TrueSight IS is not available on legendary Scout Rifles anymore, being replaced by FastDraw IS. Vision of Confluence is the only legendary Scout Rifle with Sureshot IS. SteadyHand IS and Red Dot-ORS1 are exclusive to rare and uncommon Scout Rifles. The base zoom factor of Scout Rifles when ADS is 2.0x. If you are looking for a scope with good stability, go for a Red Dot. 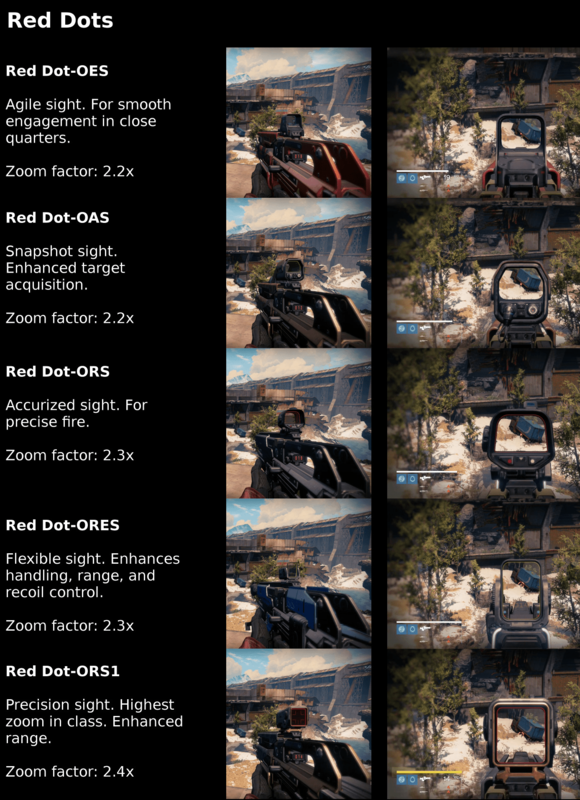 They all increase the weapon’s stability, but Red Dot-OAS has the highest stability increase (+14). If you prefer range over stability, which isn’t recommended, then you should pick one of the Long Range scopes. 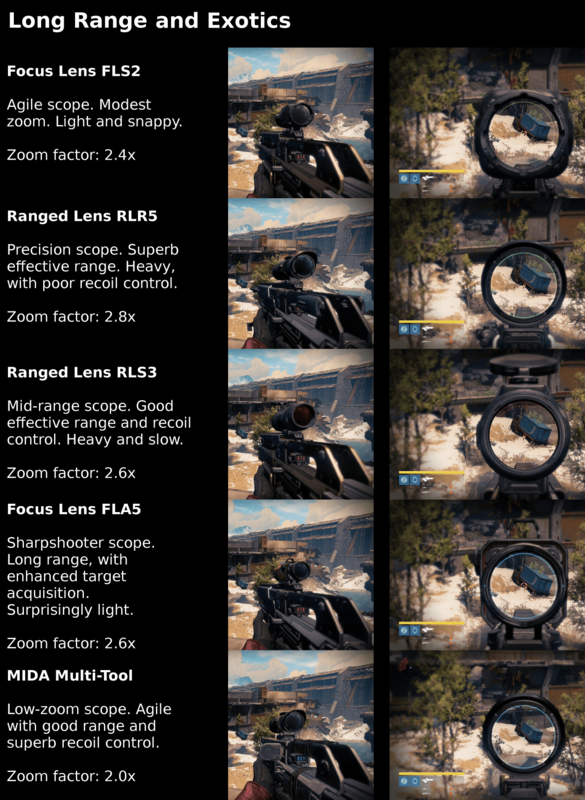 Ranged Lens RLR5 has the highest range increase (+15) and the highest zoom factor. The Iron Sights give the highest bonuses to reload speed, ADS time and equip speed. Quickdraw IS has the highest reload speed and handling increase (+15 each). Red Dot-OAS, Focused Lens FLA5 and TrueSight IS all give bonuses to aim assistance. If you’d like to see all of the possible perks for a HoW Legendary scout rifle, click here. For the first perk option we’d recommend Outlaw for both PvE and PvP on pre-HoW Scout Rifles. It can easily be activated and will provide you with a very quick reload. For Scouts that were introduced with HoW, Outlaw is available as a last-tier perk. Rodeo is also a good option because it will help to make sure that you hit your enemies. Full Auto is definitely great too since only makes using the weapon easier. High Caliber Rounds is good for PvE because you want to keep your enemies from attacking you as often as possible. Explosive Rounds will deal a small amount of additional damage to enemies and can damage multiple targets if they are in close range to each other. In PvP, Explosive Rounds can disorient other players, which makes it extremely valuable in 1v1 situations. Depending on your weapon’s reload speed, it might also be a good idea to choose one of the new perks from the bottom upgrade bubble to boost specific stats of your weapon. The perk will obviously depend on your archetype and what you feel comfortable with. For PvE, Firefly is best for its ability to take out groups of enemies quickly. Grenadier is also a solid PvE option on pre-HoW Scout Rifle and Crowd Control or Outlaw on new HoW weapons. For PvP, Third Eye is the best choice, because it allows you to predict enemy movements easier. The Hidden Hand & Army of One perks can also be very valuable in PvP. Please note that the short review of each weapon only focuses on its base stats. If your weapon has a good perk combination, it can still be a good weapon, even though its base stats are below average. We have full reviews of many of the pre-HoW scout rifles here. This new Dead Orbit vendor rifle belongs to the fast-firing archetype. Its stability, equip speed and recoil control is below average. The weapon’s range is also below average, but the highest of all fast firing Scout Rifles. The only outstanding stat is the aim assistance. Although the magazine size of 17 is decent, you need to consider the weapon’s high RoF which will lead to a lot of reloads with Dead Shot Luna SR1’s average reload time stat. All in all, it falls short compared to TDB’s B-Line Trauma. However, the vendor version comes standard Full Auto, and that makes using this weapon much easier in all situations. This one belongs to the mid-high RoF archetype. Like others of the same class, the High Road Soldier features high reload and equip speeds, but below average range and stability. The High Road Soldier features good weapon handling, but lacks the more important range and stability. It is still a solid choice due to its very high recoil control, especially for PvE. An armament of the Queen, this weapon fires with 180 rounds per minute and therefore belongs to the low to mid RoF archetype. Range, stability and reload speed are all around average. While the weapon has good recoil control, its aim assistance and equip speed are below average. The magazine size of 14 is low as well. The Hygiea Noblesse has very average stats and can easily be replaced by any other Scout Rifle of its archetype. This weapon belongs to the low-mid RoF archetype. It features above average range and the highest stability of any legendary Scout Rifle. The magazine size is unfortunately very low at 13. It’s tied for the fastest RoF, but the range and stability are below average, though not terrible when compared to others with the same RoF. Recoil control and the equip speed are excellent and the base magazine size of 21 is excellent. If you are looking for a snappy weapon, this will be among your top choices. A mid-high RoF Scout Rifle. It has good stability in favor of its range. The weapon has very quick reload and equip speeds and high aim assistance. Recoil control and the magazine size of 14 are both below average. This Trials of Osiris Scout Rifle belongs to slow RoF/high Impact class. It has good range, but its other stats are just OK. The weapon’s unique perk combination still makes it absolutely worth using. Reactive Reload gives you a three second damage boost that enables you to kill other players without high armor in two headshots after a kill. Due to the Outlaw perk, you are able to make use of the Reactive Reload perk quicker and more often, as long as you can land critical hits. The Scholar is an excellent choice for PvP players with good aim. However, if you are not able to land consistent headshots, then you won’t be able to make use of the weapon’s unique perks and are left with an average weapon. In PvE you can almost turn this weapon into a sniper rifle because of its long range scopes & Custom Optics. The Prison of Elders Scout Rifle belongs to the high RoF/low Impact class. It has the highest aim assistance of any legendary Scout Rifle, tied with B-Line Trauma. Unfortunately, its other stats are all average. The weapon’s range is one of the lowest in the game, and the stability should be upgraded with the Perfect Balance perk. From its base stats, the Wolves’ Leash is more suited for PvP. However, its perks Triple Tap and the random fallen specific perk are obviously better in PvE. The final new HoW Crucible vendor weapon has good stability, recoil control and aim assistance, and is therefore very easy to use. Reload and equip speeds, as well as the magazine size of 17 are also very respectable. The weapons only real flaw is its range, but this is barely an issue. You’ll be able to easily use this with great success, as long as your enemies aren’t too far away from you.